Whenever a verse of the Glorious Qur’an was revealed, the Prophet Muhammad memorized it and conveyed the message to his companions who would also memorize it by heart and several of them were entrusted with the job of writing it. In brief, whenever a verse of the Glorious Qur’an was revealed, the Prophet Muhammad (peace be upon him) would be divinely caused to memorize it. He would then convey the message to his companions, many of whom would also memorize it by heart instantly and several of whom were entrusted with the job of committing it to writing. Thus, from the earliest time there was a continuous tradition among the Muslims of committing the Glorious Qur’an to memory and propagating it through authenticated written manuscripts. Though some orientalist writers did not believe in the divinity of the Glorious Qur’an, yet they acknowledged and declared on the basis of their scholarly studies that the Glorious Qur’an remained genuine and unchanged since its first revelation up to this date. “It is an immense merit in the Qur’an that there is no doubt as to its genuineness… That very word we can now read with full confidence that it has remained unchanged through nearly thirteen hundred years.” (Lane-Poole, Selections from the Koran, Intro. p. C). “The recension of ‘Othman has been handed down to us unaltered… There is probably in the world no other work which has remained twelve centuries with so pure a text.” (Muir, Life of Mahomet, Intro. p. 22). “In the Qur’an, we have beyond all reasonable doubt, the exact words of Mohammad without subtraction and without addition.’ (Bosworth Smith, Mohammad and Mohammedanism, p. 22). Furthermore, Torrey says: “The Koran was his own creation; and it lies before us practically unchanged from the form which he himself gave it.’ (Torrey, Jewish Foundation of Islam, p. 2). These references and sources confirm that the Glorious Qur’an remained safe, preserved and protected. On the other hand, it proves the genuineness of the Glorious Qur’an which informed us that Allah the Almighty has promised of its preservation and maintenance. It is also noteworthy that the providential arrangement of writing the commentaries of the Glorious Qur’an started as early as the third century A.H. 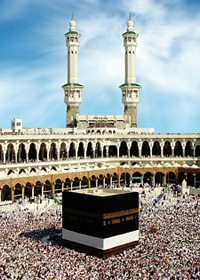 In the beginning the exegesis of the Glorious Qur’an formed a part of the science of hadith since it was generally thought that the divine revelation could be understood only in the light of traditions of the Prophet Muhammad (peace be upon him), specially those handed down by `Abdullah ibn `Abbas. 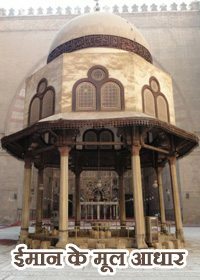 But the exegesis of the Glorious Qur’an became an independent science with the Tafsir Tabri of Abu Ja`far Muhammad ibn Jarir At-Tabri (d. 310 A.H.) and it has ever since been vigorously cultivated by the Muslim scholars. The commentaries of the Holy Qur’an written from time to time are in fact a mine of historical information shedding light on the way, the Glorious Qur’an was understood during different periods. Source: Taken from www.ccm-inc.org with modifications.